The only known tree species with living 100 meter specimens is the coast redwood. There are five other species that exceed the 90 meter mark, but at the moment just coast redwoods have 100 meter class trees. A few months ago I posted some details on 100 meter trees in Humboldt redwoods and from that inferred the total number of 100 meter redwoods in other parks based on some published information on the number of acres in each park capable of supporting 90 meter redwoods. After further research and analysis, including processing many point cloud data sets, it is evident the number of 100 meter redwoods is around 2,000, not 5,000 as I previously posted. Using Michael Taylor’s 2013 and 2015 tree height lists, the number of 105 meter trees in each redwood park can be determined with good accuracy. Then for Humboldt Redwoods I have fairly complete LiDAR sourced information, either through data I processed myself using ArcGIS or via rendered maps. So I used the association between 100 plus and 105 plus meter trees at Humboldt to estimate 100 plus meter trees in the three northern redwood parks. This results in the following chart. I have added the 100 meter tree data from other areas, with the source noted. So there are 2,000 or so coast redwoods above 100 meters in height (328 feet). There are many, many redwood trees that exceed 100 yards (300 feet) in height. At least 25,000. So we have a pretty big drop off from 100 yard redwoods to 100 meter redwoods. There are special conditions required for redwood trees to reach 100 meters. 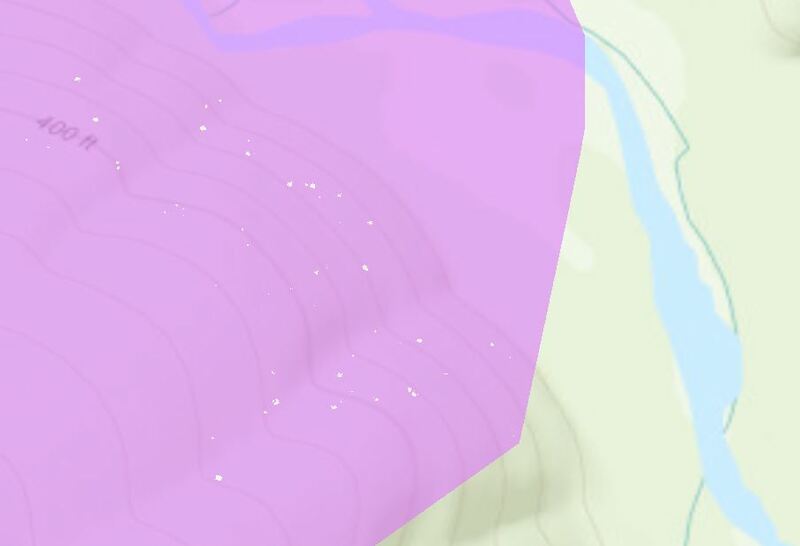 For example, this is from NOAA LiDAR of the north tip of Orick Hill. All the white dots are 300 foot redwoods, there are about 40. 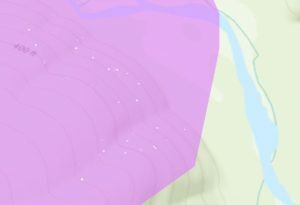 But if this is changed to 100 meters (328 feet), there is only one dot left, and it is halfway up the hill toward the south end of this map. What about the location of this tree enables it to get to 330 feet, versus everything downstream is between 300 and 330 feet. 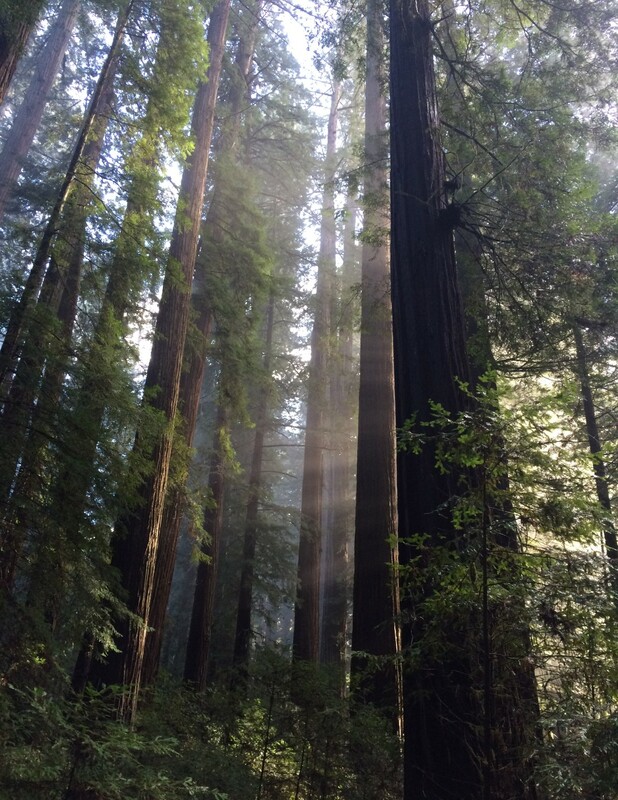 Why this drop off, and what is required for a redwood to grow exceptionally tall? One very interesting contributor is the ebb and flow of the marine fog layer. Where the layer persists in the summer, height is suppressed. Where the layer comes and goes daily in the summer, height is maximized. Where the layer does not reach in the summer, height is again suppressed. I will write more about this in the future. 6 100 meter trees south of SF? Im assuming all of them are in big basin. Yes, they are in the Big Basin area.